In a USA Today opinion piece, two Christian evolutionists send a broadside our way. This response originally appeared in News to Note, August 15, 2009. In a USA Today opinion piece titled “We Believe in Evolution—and God,” two Christian evolutionists send a broadside our way. But do they bring up anything new? The authors of the piece are Eastern Nazarene College professor Karl Giberson (whom we wrote about last November) and Point Loma Nazarene University professor Darrel Falk. Both are co-presidents of the new BioLogos Foundation established by Christian evolutionist Francis Collins (see the May 16 edition of News to Note). The “science” undergirding this “young earth creationism” comes from a narrow, literalistic and relatively recent interpretation of Genesis, the first book in the Bible. This “science” is on display in the Creation Museum in Kentucky, where friendly dinosaurs—one with a saddle!—cavort with humans in the Garden of Eden. . . . Science faculty at schools such as Bryan College in Tennessee and Liberty University in Virginia work on “models” to shoehorn the 15 billion year history of the universe into the past 10,000 years. And hence the misinformation begins, which we will answer in turn. Here, we wonder if Giberson and Falk dismiss plain readings of other Bible passages as “narrow” and “literalistic” even if those passages, like Genesis 1 show the hallmarks of being plainly worded historical accounts. And the early church fathers’ supposed doubt concerning a literal Genesis has also been dramatically exaggerated (see The Early Church on Creation). Also, as we have explained before, the saddled dinosaur in the Creation Museum is not an exhibit, but rather a fun photo opportunity for young children; it is in the basement, far from the Garden of Eden display. And the authors merely beg the question when they write that our friends at Bryan College, Liberty University, and elsewhere must “shoehorn” old-earth ideas into a young-earth framework. Challenging accepted ideas is how America churns out Nobel Prize-winning science and patents that will drive tomorrow’s technology. But challenging authority can also undermine this country’s leadership in science, when citizens reject it. . . . [We aim] to counter the voices coming from places such as the website Answers in Genesis, which touts creation scientists, and the Discovery Institute, a think tank in Seattle, that calls on Christians to essentially choose between science and faith. We regularly emphasize that the supposed dichotomy between religion (or faith) and science is false. First of all, the professors have conflated operational science with origins science—a common problem we point out. Also we have made clear many times that we certainly do not reject science; we just do not believe that everything labeled “science” or that everything believed by scientists actually is good, objective science. Likewise, we regularly emphasize that the supposed dichotomy between religion (or faith) and science is false. The issue is not that we fight the encroachment of science; rather, we believe that one’s starting point is an inherently religious belief that determines how one interprets the results of the scientific method. Darwin proposed the theory of evolution in 1859 in On the Origin of Species by Means of Natural Selection. This controversial text presented evidence that present-day life forms have descended from common ancestors via natural selection. Organisms better adapted to their environments had more offspring, and these fitness adaptations accumulated across the millennia. And this is how new species arose. Natural selection is a readily observed, experimentally verified scientific fact that requires no historical speculation, and as such, our Creation Museum has an exhibit that explains it. We agree that natural selection can lead to new species within a kind as it reduces the genetic information in a population, resulting in sexual incompatibility where there previously was none. But Darwin and those who follow him extrapolate backward from these observations all the way to a single ancestor of all life. That assertion can never be proved right or wrong from fossils or any other present-day scientific study. We are trained scientists who believe in God, but we also believe that science provides reliable information about nature. We don’t view evolution as sinister and atheistic. We think it is simply God’s way of creating. . . . Evolution is not a chaotic and wasteful process, as the critics charge. We agree that the scientific method can show certain hypotheses to be more reliable than others through the process of attempted falsification. However, “science” does not provide anything—saying as much is to commit the fallacy of reification. We also would ask if the authors believe in the true, bodily resurrection of Jesus, given that such is as “scientifically” unverifiable as creation. Next, by using the word “sinister,” the authors imply that young-earth creationists are afraid of evolution. Rather, we understand the idea of evolution; it is simply that we don’t believe it is true for biblical and logical reasons. 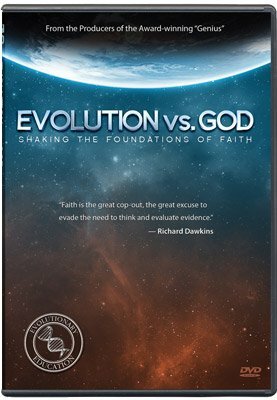 And the authors seem to be deluding themselves by writing that evolution is not “chaotic and wasteful,” given that young-earth creationists believe God created a world of life in one week without any death. The fossil record, however, is a record of death and includes evidence of violence and disease, such as cancer. Why would God call that “very good” if death is an enemy ( 1 Corinthians 15:26 ) introduced by sin, which could not have occurred before man (Romans 5:12–14)? We understand science as a gift from God to explore the creation, a companion revelation enriching the understanding of God we get from other sources, such as the Bible. Many do not realize that making the Bible into a textbook of modern science is a recent development. What we learn from science cannot threaten our belief in God as the creator. If God created the universe in a [b]ig [b]ang 15 billion years ago, guided its development with elegant mathematical laws so that eventually there would be big-brained mammals exploring things such as beauty, morality and truth, then let us celebrate that idea, not reject it. Again, we agree that science can help us explore creation. But the authors’ description of it as a “companion revelation” forces a question: is everything reported in a scientific journal automatically as valid as Scripture? What about when the two come into conflict—such as if an archaeologist alleges that the Bible’s history is inaccurate? Again, the church fathers overwhelmingly believed in a recent creation as the Bible taught. And of course we do not make the Bible a “textbook of modern science,” since it is a book of history. And again, the authors fallaciously reify “science.” What Richard Dawkins believes the scientific method shows certainly does threaten one’s belief in God. Finally, there is the word if: “If God created the universe in a [b]ig [b]ang 15 billion years ago . . . .” The authors seem to misunderstand our perspective entirely, again, falsely implying that our position is due to fear or unwillingness to consider what it would mean to celebrate the big bang, etc. Sadly, the visibility of Giberson and Falk’s piece will surely misinform many who don’t actually know what we and other young-earth creationists believe. Even while lobbying tired old defenses of theistic evolution, the authors did not answer a single of our substantive problems with compromise (which are documented in the articles linked below). Still, we are thankful for the continued attention on the Creation Museum, which continues to be the best chance many have for beginning to understand the creationist’s perspective—and for meeting the Creator. Did Jesus Say He Created in Six Days?